An increasing trend on the menu of most Universities and Colleges is the chance to study abroad. 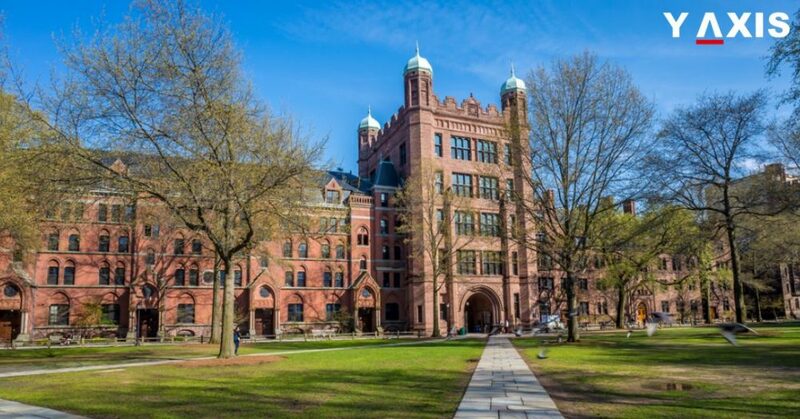 The University of Yale offers its Undergraduates one such attractive option. It is an opportunity to study abroad in the US. The Grand Strategy Program’s students at Yale University can earn credit for a summer odyssey. This is in the form of a road trip in their home nation or any part of the world. The only condition is that their trip must be safe. Yale assists in financing the tour. The written account of the trip is included in the final grade. Grand Strategy seminar was founded by John Gaddis in 2000. This was with former Diplomat Charles Hill and fellow historian Paul Kennedy. These still teach in the program, as quoted by the Washington Post. Gaddis said that their concept was a small effort at breaking down a part of the isolation. The elite Universities have somehow locked themselves into it, he added. They have placed themselves into their bubbles. GSP was a great idea then and at present, it is more needed than ever before, said Gaddis. One example that Gaddis offers is of his student from Massachusetts. He took up a trip of 7,200 miles across 22 US States. This also included stays for many weeks. It was at an inner-city Cleveland neighbourhood, an Indian reservation in South Dakota, and in a town in South Texas. His account of the journey in 90,000 words is a catalogue of revelations says, Gaddis. It is a real journey of discovery, he explains. Study abroad thus remains a very valuable concept today says the founder of the Grand Strategy Program.